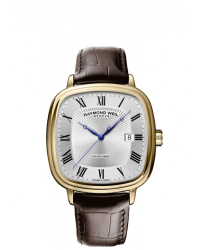 Founded in 1976 by Raymond Weil, his watches are based on the ideal of combining classic styling, exceptional Swiss watch craftsmanship, and reasonable pricing. 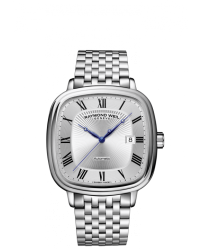 Raymond Weil remains one of the last independent family-owned Swiss making watch companies. “Independence is a state of mind” is Raymond Weil’s motto. Browse through the Raymond Weil men's and women's watch collections and you will see a common thread - attention to detail. Even the crowns are lovingly crafted with either the distinctive RW logo or precious stones to provide the signature Raymond Weil look. The craftsmen at Raymond Weil focus on the smallest of details whether they are crafting the mechanisms or polishing the custom-crafted links to perfection.